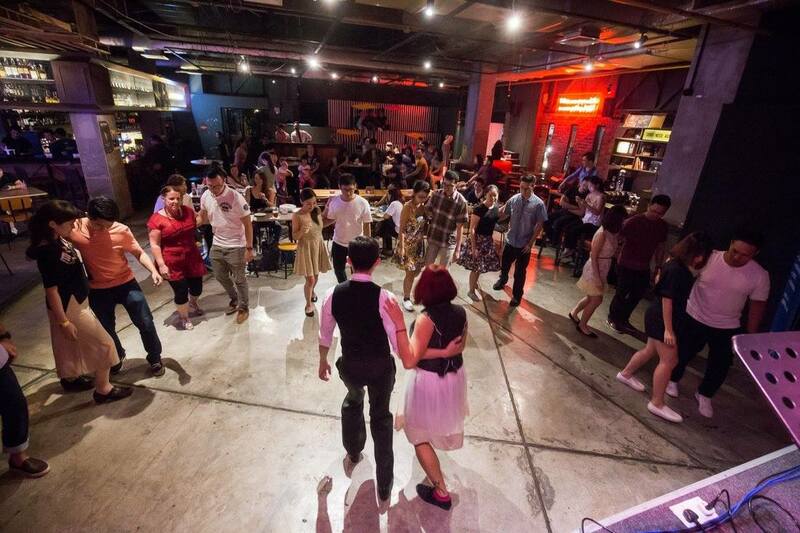 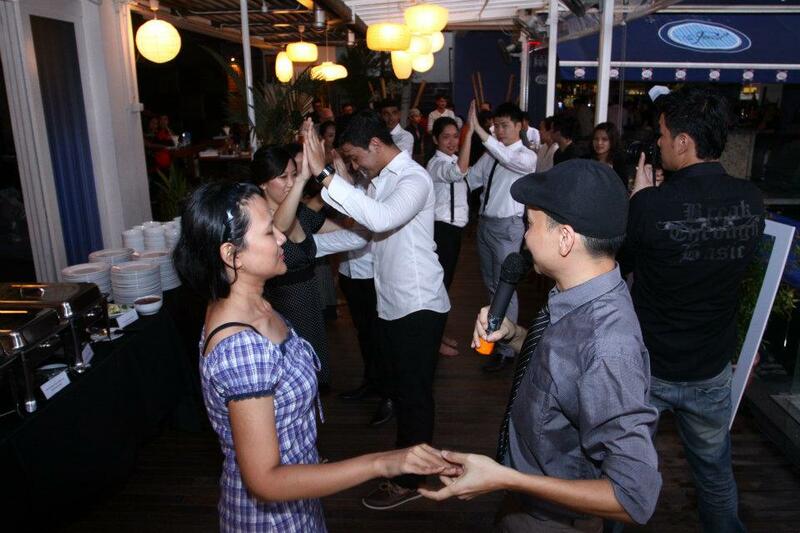 Established in October 2011, LindyKL is a group of swing dance enthusiasts based in Kuala Lumpur, Malaysia. 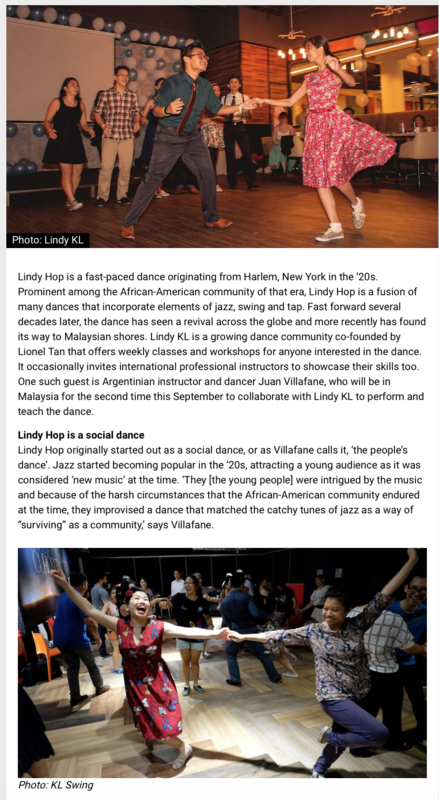 We specialize in various forms of the dance, such as the Lindy Hop, which originated in the 1920s and 1930s. 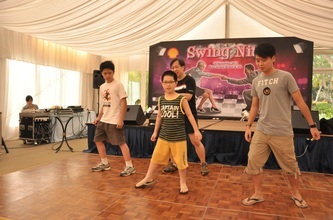 We offer outdoor dancing events, classes, workshops, and performances throughout the year. 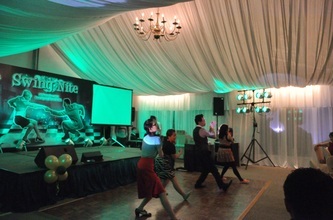 We also conduct team-building, performances, and dances for company events. Contact us to see how we can work together! 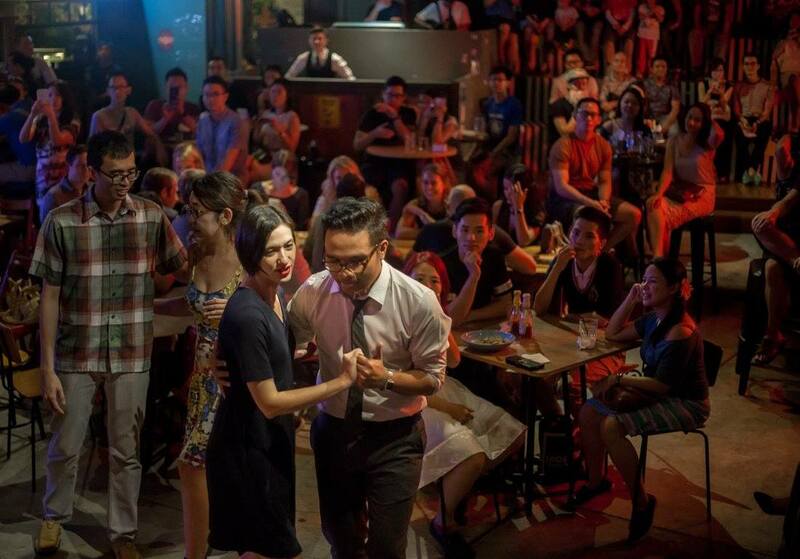 Together with Swing Jazz Bands Bona Hop and The Frankie Sixes, LindyKL hosted a night of live swing jazz music at Publika Jazz Fest 2017. LindyKL partnered with New Star Studio to take part in Festival Belia Putrajaya 2015, organized by Rakan Muda. 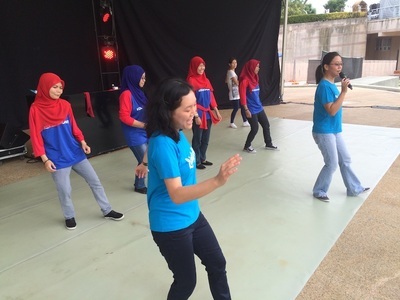 Nuffnang Malaysia engaged us for one of their team-building events. 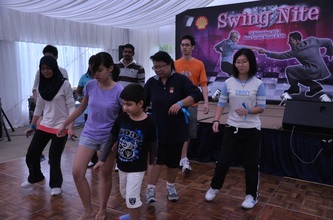 It was fun and laughter all around. 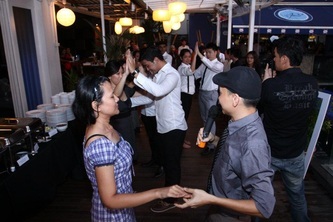 What better way to get to know a colleague than to dance together? 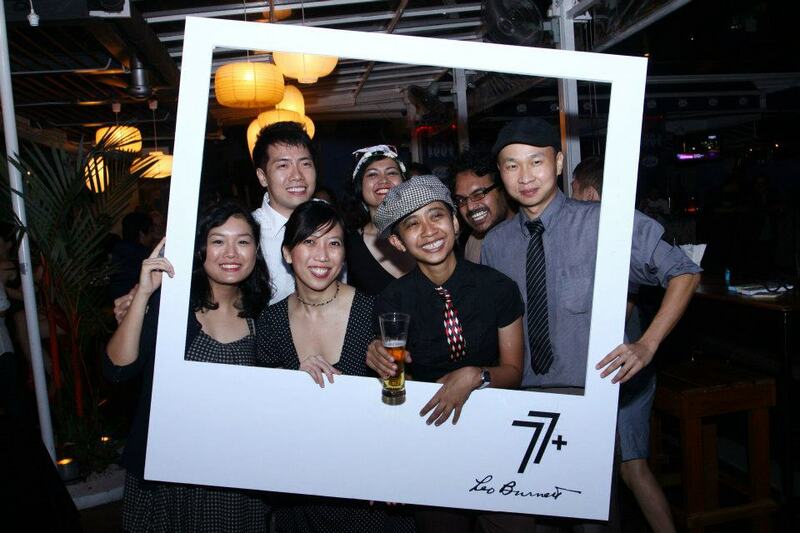 Leo Burnett (Malaysia)'s 77th company anniversary. 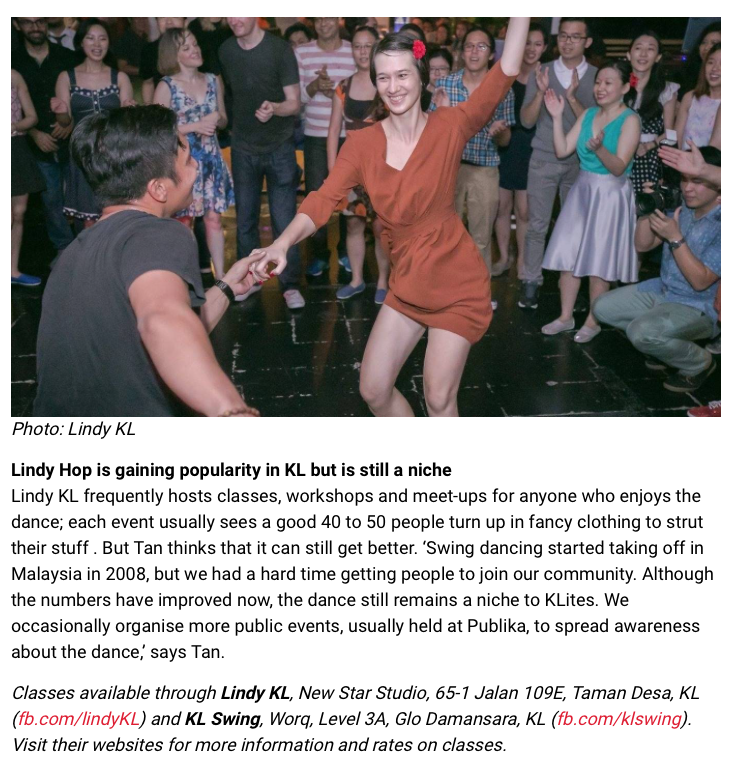 ﻿Shell Family on their Team Retreat for their "Swing Nite"
TimeOut KL, June 2017 "​What you need to know about Lindy Hop"
The Star R.AGE, Aug 2015. 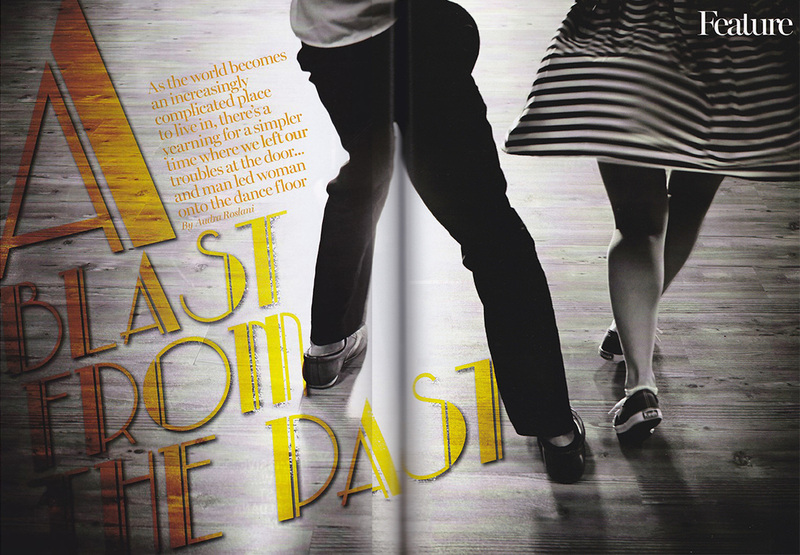 "Dancing Up a Storm"
​“Previously it used to be six to eight people and we couldn’t last through the night. 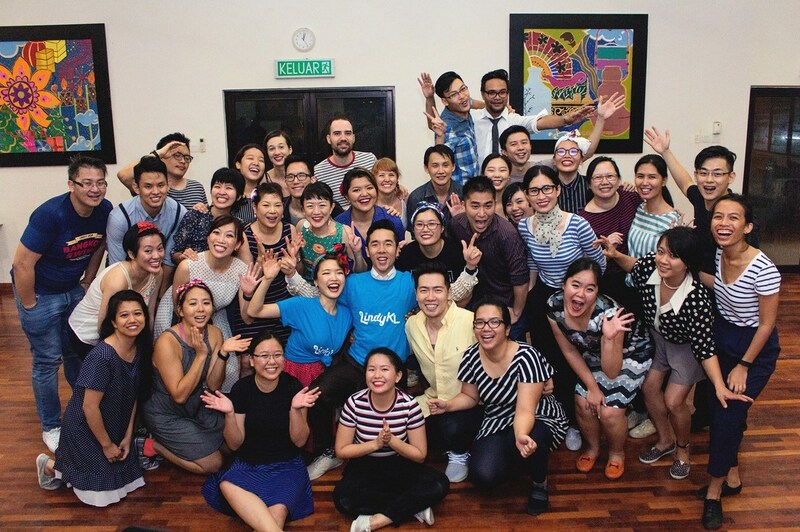 Now we have up to 40 regular dancers every week, lasting until midnight and I have to tell everyone to go home!” said Khoo. 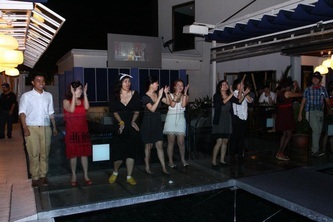 We had the team over from The Star R.AGE one Friday evening so they could see for themselves what LindyKL was all about. 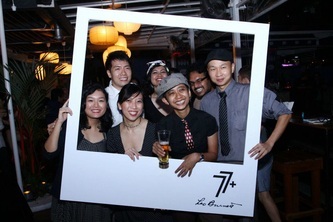 Everyone dressed to impress (not that we don't normally - honest!) 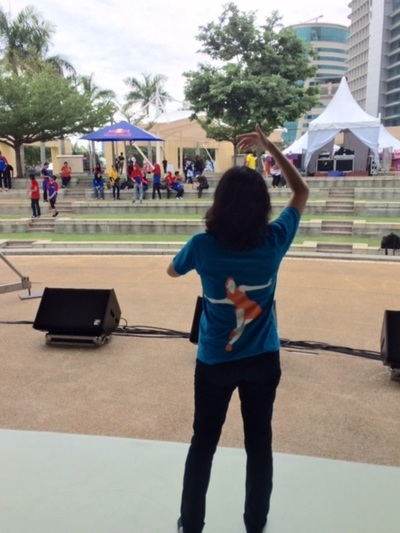 and we think we even saw the camerawoman tapping her feet! 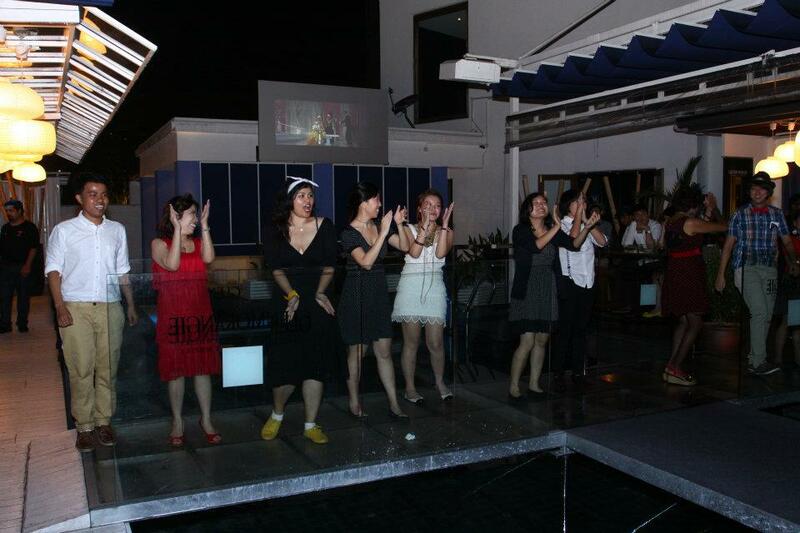 “Besides, this is the only place where a guy can hold a girl’s hands without getting into trouble!” (Jo) joked. 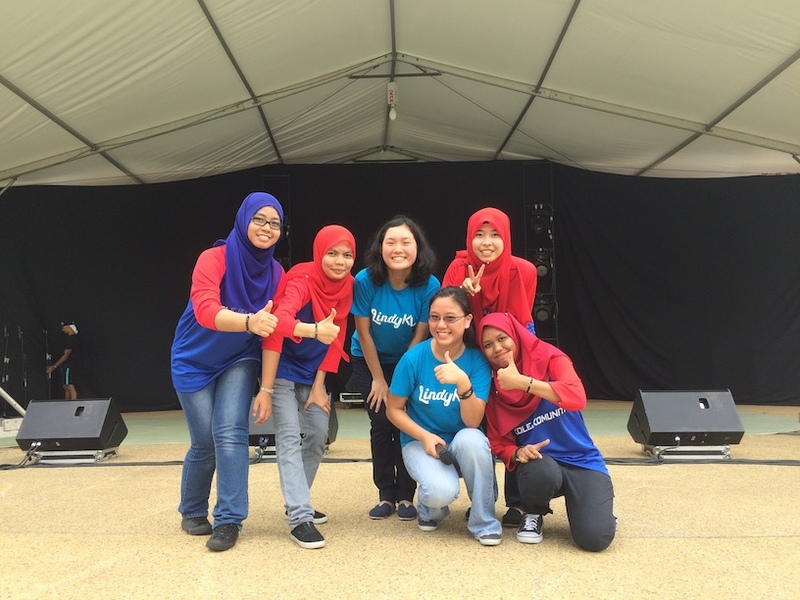 The R.AGE team took some time to interview some of our dancers and find out what the dance meant to them personally. 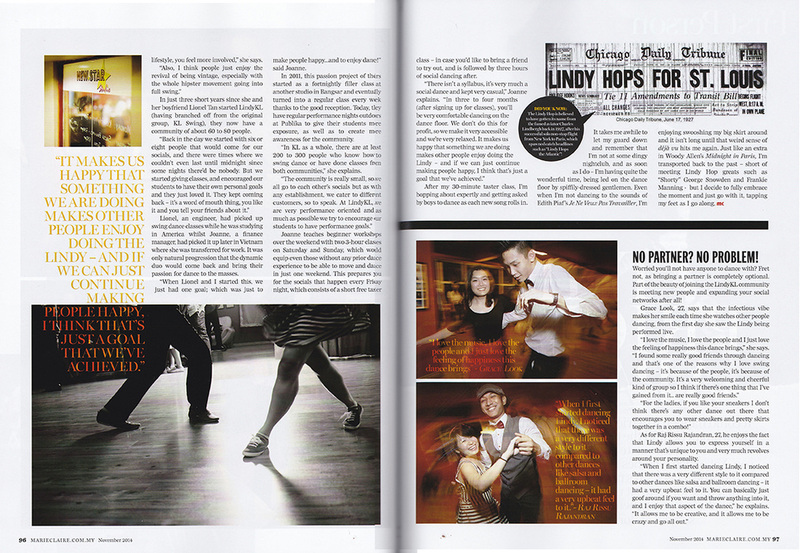 Hit the jump to read all about it. 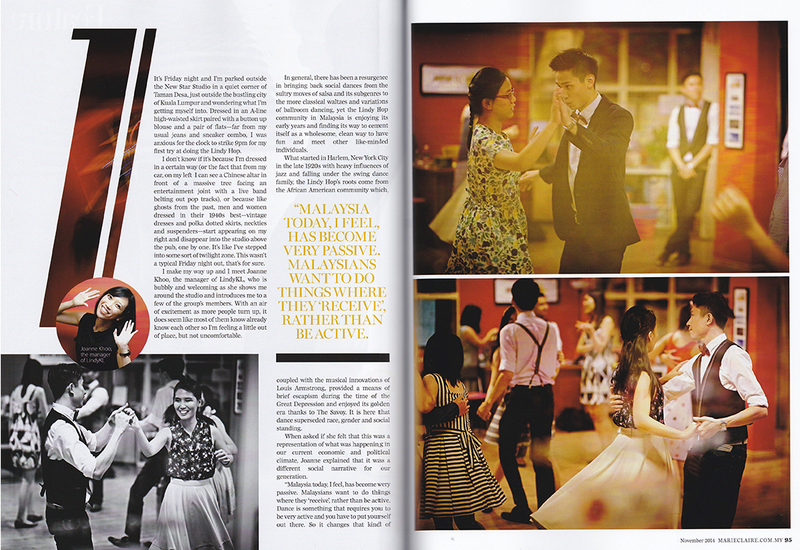 Marie Claire magazine (Malaysia), November 2014. 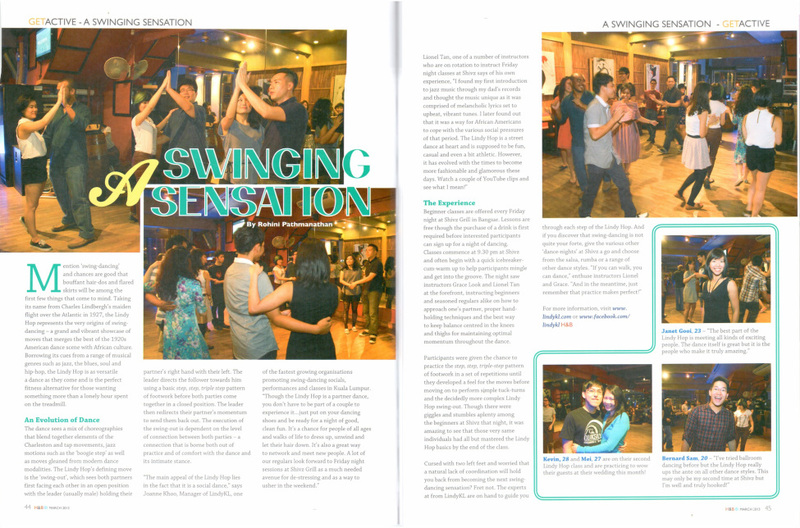 "DANCE: The Lindy Hop Scene in Kuala Lumpur"
Health & Beauty magazine (Malaysia), March 2013. 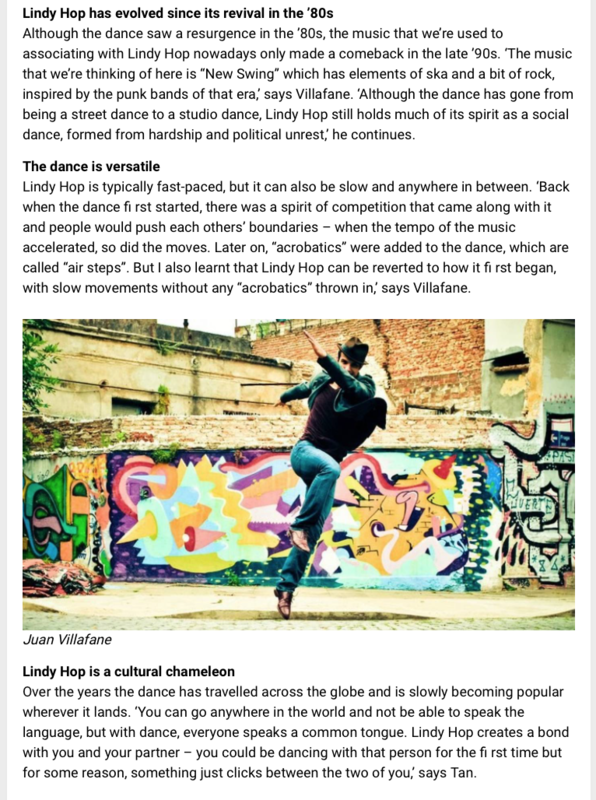 Click on the image below to read the full article.